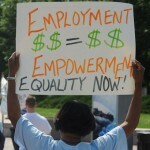 Go Viral Action Alert: The Employment Crisis for Americans with Disabilities Needs Your Action! 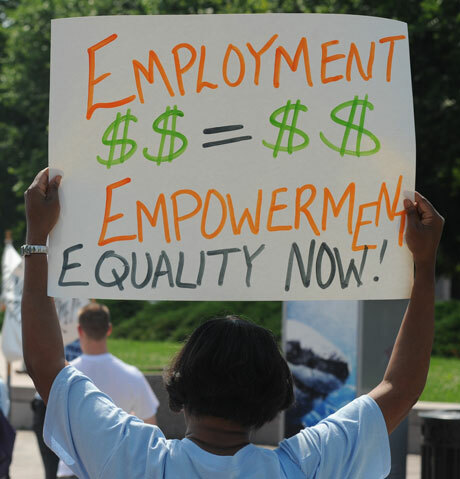 You are here: Home / Employment & Social Security / Go Viral Action Alert: The Employment Crisis for Americans with Disabilities Needs Your Action! Request President Barack Obama, Social Security Commissioner Michael J. Astrue, and key members of Congress to lead now by supporting American workers with disabilities! Many Social Security Disability Beneficiaries want jobs now. The current do-nothing Congress and Social Security’s top leadership are failing Social Security disability beneficiaries who work or want to work. These employment support counseling services will end either June 30 or September 30, 2012 because of his decision. Shutting these programs down means that thousands of Social Security disability beneficiaries who are planning to work, or who are working today, will have severely limited access to the correct federal and state rules and procedures for their work and benefits situation. With the shutdown, disability beneficiaries will have little to no help with complicated return to work rules when they encounter employment / SSA-related problems. Background: Work Incentives Planning Assistance (WIPA) grants go to local non-profits and other agencies to support outreach, education and benefits counseling services to Social Security disability beneficiaries about work incentives and services for finding, maintaining and advancing in employment, including the Social Security Ticket to Work program. WIPA grantees inform beneficiaries on the impact that employment will have on their disability income and medical coverage, and address real fears that individuals have about going to work at the risk of losing their health care coverage. Together, we can help stop the planned national shut down of the Social Security WIPA and PABSS employment support counseling services. We request that President Obama ask the Commissioner of Social Security Michael J. Astrue and the U.S. Congress to lead, collaborate, and stop the counterproductive closure of these programs at the wrong time for our growing economy. There is opportunity as the economy improves to demonstrate that, as Americans with significant disabilities; we are part of the U.S. economic recovery plan. A Rapid Response Letter Template is available below for your use. Contact The Honorable Sam Johnson, Chair of the House Subcommittee on Social Security, through his Facebook page, by phone at 202-225-4201, by fax at 202-225-1485, or my mail at: US House Subcommittee on Social Security / 1211 Longworth Building / Washington, DC, 20515. He may also be reached at his Texas District Office by phone at 972-470-0892 or by mail at: 2929 North Central Expressway, Suite 240 / Richardson, Texas 75080. Contact The Honorable Xavier Becerra, Ranking Member of the House Subcommittee on Social Security, through his Facebook page, by phone at 202-225-6235, by fax at 202-225-2202, or by mail at: US House Subcommittee on Social Security / 1226 Longworth House Office Building / Washington, D.C. 20515. He may also be reached at his Los Angeles District Office by phone at 213-483-1425, by fax at 213-483-1429, or by mail at: 1910 W Sunset Boulevard, Suite 810 / Los Angeles, CA 90026. Rapid Response Letter Template: Edit and use this template to send your personal messages to President Obama (via Gene Sperling), the Commissioner of Social Security Michael J. Astrue, and the key Members of Congress listed above.